If you thought transforming toys had to be made of plastic and were limited to either robot or vehicle modes, these Pop Out Pets say otherwise. 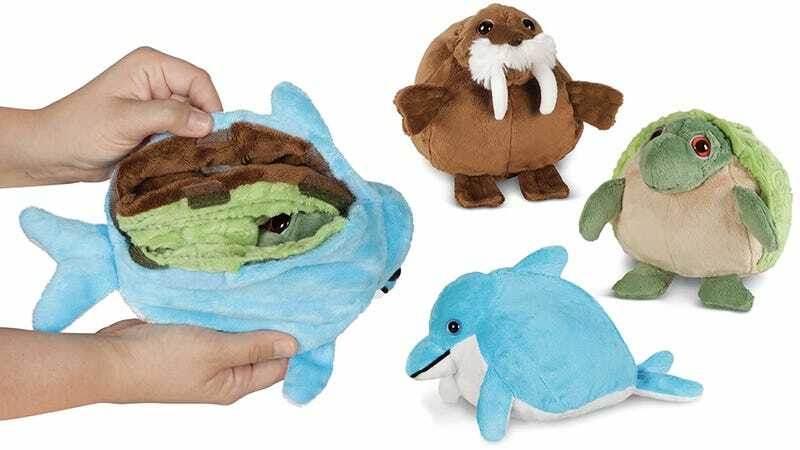 They're stuffed animals that secretly contain two or three other plush critters tucked away inside that are revealed when you turn them inside-out. It's a little macabre, yes, but when your kid tires of dolphins in the middle of a long car ride you'll be real happy there's a walrus and turtle in reserve.